I know that I say this about many of the meals that I have posted on our blog, but the Chicken Salad Panini is one of our all time favorite meals! I guess we just love to eat so all our meals are our favorite! We have been eating this meal for many years and it is still requested quite often. This one is so easy and fast to make. It is perfect for a quick weeknight dinner. It would even be great if you had to take it to go! Portable dinners are pretty handy sometimes! Heat up skillet or panini press on medium heat. Mix the chicken, mayonnaise, bacon, green onion, and ranch dressing. Divide chicken mixture between 4 pieces of the bread. Add a slice of cheese to each sandwich and then top with piece of bread on each. Heat on skillet or panini press until cheese is melted and sandwich is heated through. Serve with fresh fruit and/or homemade fries! I hope you love these sandwiches! They are fantastic! Really can’t say enough good things about this sandwich! It goes perfectly with KaCee’s homemade oven-baked fries. These posts make me hungry! I love my panini maker! This is a perfect recipe for summer! 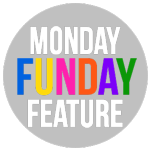 Thanks for sharing on the #mondayfundayparty! I can see why this would be one of your favorite dishes. Easy to make and absolutely yummy! All I have to say is Mmmmm!!! Yum! Thanks for sharing at Waiting on…Wednesday! Hope you’ll link up again next week!